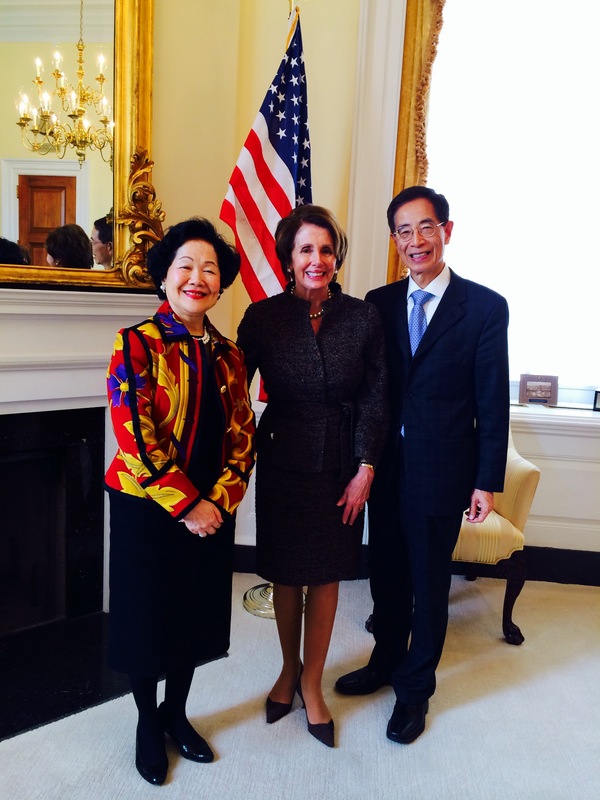 Anson Chan and Martin Lee have been warmly received by senior members of the United States Senate and House of Representatives, including Mrs Nancy Pelosi, Minority Leader of the House of Representatives. They have received a clear assurance that members of Congress are watching developments in Hong Kong closely. They are deeply concerned that the principle of ‘one country, two systems’, enshrined in the Sino-British Joint Declaration, is being undermined and that core values such as freedom of the press are in peril. At a Roundtable on “Prospects for Democracy and Press Freedom in Hong Kong”, hosted by the Congressional-Executive Commission on China and attended by both Anson Chan and Martin Lee, the chairman, US Senator Sherrod Brown, confirmed that the Commission has made it a priority to monitor and report on developments in Hong Kong and will continue to do so. He urged China to follow through on its commitments to allow genuine democracy and freedom to take root in Hong Kong. Anson Chan and Martin Lee will have a meeting with United States Deputy Secretary of State, Bill Burns and testify in an open hearing of the Congressional Executive Commission on China this Friday local time.